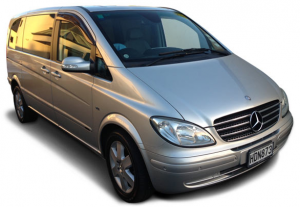 Our luxury Mercedes-Benz Viano MPV is available 24/7, by pre-arrangement. Our mission is to deliver a unique and personal New Zealand travel experience for you. 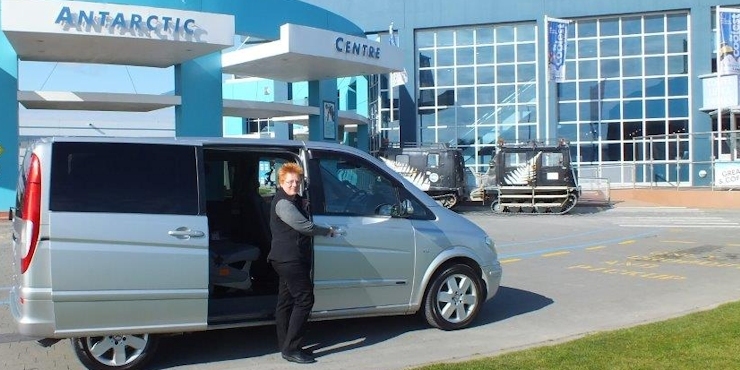 We want to show you the very best of Christchurch, Canterbury and the South Island accompanied by a friendly, knowledgeable, local driver/guide – in comfort and safety. With some of New Zealand’s most diverse scenery within a day’s drive of Christchurch, you can experience the beauty of rugged coastline and the thrill of seeing a whale or dolphin at close quarters in an Akaroa or Kaikoura. Or be pampered at an alpine village day spa, indulge in award-winning local wines and cuisine, and discover contemporary art works inspired by the surrounding landscape. Your interests, your time-frames, your pace – your Canterbury. We have a range of specialty tours, scenic tours and cruise ship excursions – we can create a tailor-made tour especially for you, complete with your own experienced driver-guide and luxury vehicle. 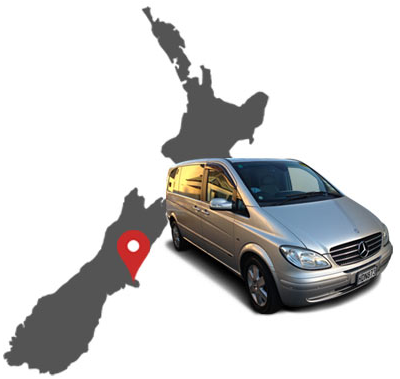 We also provide chauffeur and guide services for V.I.P and corporate visitors to New Zealand. We also provide exclusive airport transfers, small group tours and chauffeur-driven vehicle for rent. Our aim – to ensure visitors get the best from their time in Canterbury. Whether its sightseeing in Christchurch or a Kaikoura adventure, as proud Cantabrians our satisfaction comes from helping visitors explore the diversity and uniqueness of our part of the world – the special people and places – both on and off the beaten track. We will do whatever we can to ensure you get the best from your time in our beautiful country. Click here to see feedback from guests. Or find us on Facebook. Our team is headed by Faith Pandian who has a 20 year career in tourism, previously specialising in India. Faith will be delighted to share the gems of her home town and region with you during your stay here. Faith is able to tailor the perfect visit for you, your family or small group, drawing on her wealth of local knowledge of sights, history, fine dining or café locations, markets, walking trails or local arts and crafts. If your love is cheese we will find you the best cheese in Canterbury or if your thing is textiles or sculpture we will connect you with the best artists in their field. Christchurch is a city full of surprises and while it is being rebuilt we can get you around with ease, allowing you to enjoy the special places in our Garden City. Our experienced driver/guide and luxury Mercedes-Benz Viano MPV is available 24/7 (by pre-arrangement only) over any timeframe. You can book from just one hour, to an extensive South Island tour over several weeks. All services are private, so you always have exclusive use of the vehicle and driver/guide. 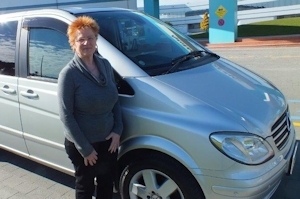 We also have a Holden Statesman and larger luxury vehicles for groups of 6-10 people. Our vehicles are maintained to the highest standards and come complete with air conditioning, airbags, power steering and CD player. Our guests come from all corners of the globe and include individuals, couples, families, holidaymakers, business-people and other small groups seeking a personalised, professional, flexible luxury car for hire service. We also have experience in transporting and working with foreign dignitaries, business & religious leaders, media, performers and other VIPs. Our service is discreet, professional and private – tailored entirely to suit your needs.